It came into being in 2006, when Benjamin Mee and his family came across Dartmoor Wildlife Park (locally known as Sparkwell Wildlife Park): a privately owned, dilapidated exotic animal collection with a poor reputation and in terrible financial difficulty. Rather than running a mile, the Mee family were struck by the fact that if the right purchaser couldn’t be found, property developers would move in, and the vast majority of the animals would be destroyed. 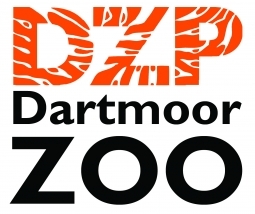 Lead by Benjamin, the family gathered all their resources, bought the zoo, saved the animals, and then began the year-long struggle to get the zoo ready to re-open which it finally did in July 2007 with new ideology, and under the new name of Dartmoor Zoological Park.